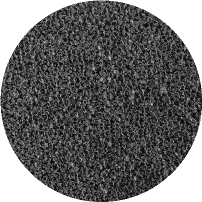 It is crushed activated carbon with high hardness and purity and made from high-quality coconut shells. 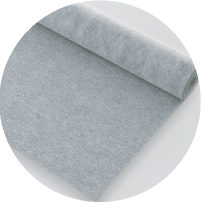 It can be used longer due to its high adsorption power and adsorption capacity that result from high activation. 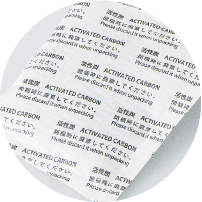 The product is washed to control fine powder. 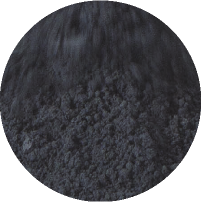 It is a powder activated carbon with strong hardness and high purity and made from high-quality coconut shells. It has high adsorption power and adsorption capacity that result from high activation. The more refined products are used as carbon in food and medicine. 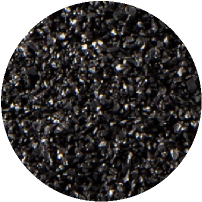 High performance and highly pure activated coconut shell activated carbon for food and medical use. Very safe and high basic performance. Manufactured according to the European Pharmacopeia standards. pH adjusted. 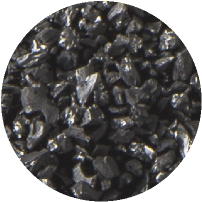 It is a coconut shell based pelleted activated carbon. It has strong hardness, low pressure drop and long life. Processing according to target gas is possible. It was possible to widen the application of the product and making handling easier by making it into pellets.